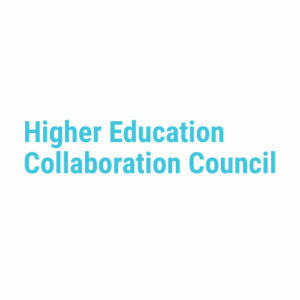 The JumpStart Higher Education Collaboration Council is an organized collaboration of Northeast Ohio-based higher education institutions and community members. The objective of the Council is to create a communication network that connects the higher education institutions to their communities, JumpStart and the Northeast Ohio entrepreneurial community. This network of connections allows the region’s education and entrepreneurial resources to be more visible and more accessible to students, alumni, faculty, entrepreneurs and community members—while leveraging the expertise, best-practice knowledge and understanding of both the experts in the Council and those in the region. The JumpStart Higher Education Collaboration Council is chaired by Deb Hoover, the president and CEO of the Burton D. Morgan Foundation, whose mission includes a significant focus on the advancement of entrepreneurship education and experience at the collegiate level. Meetings of the Council typically occur at the Foundation’s offices in Hudson, OH. Cathy Belk, President of JumpStart, is one of the staff supporters of the Council. For more information, contact Deb Hoover or Cathy Belk, or call 216.363.3417.